Perhaps we should not have been surprised that EB dropped its print version. The news, however, is making a lot of people think there is no Encyclopedia Britannica. And, that will be their marketing challenge. Even though it was the first encyclopedia on the internet Encyclopedia Britannica still couldn’t win out in “battle” with Wikipedia. Why: Wiki is FREE and crowd-sourced. 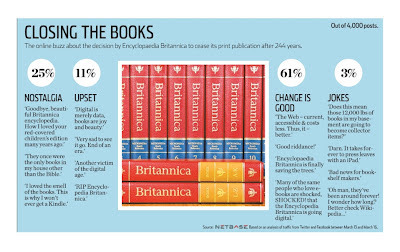 Britannica is expensive (printed versions were $1,395, online version is $70 a year) and is created by paid experts. What does this mean to association management professionals? 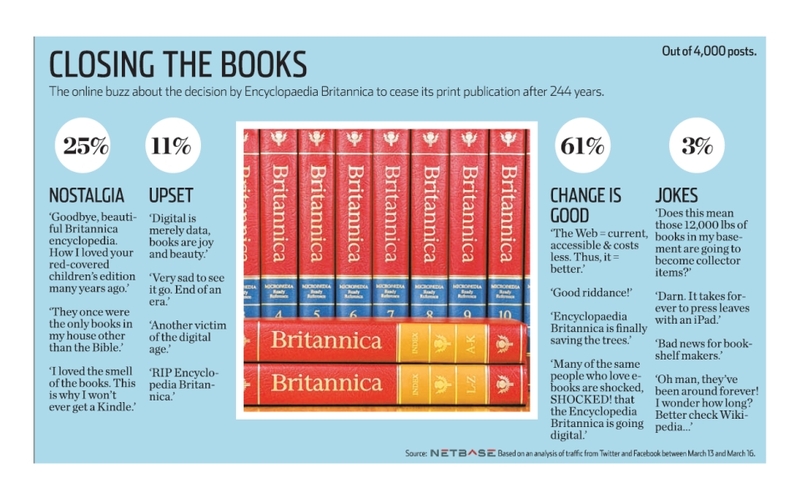 What is your take on the Encyclopedia Britannica changes? What signals does this send to your organization and/or its board? What changes have you made?